Christmas is coming up soon and this is the day that baby Jesus was born. 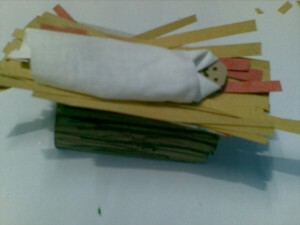 How about making a tiny manger for the baby of Christmas, Jesus and a part of your Nativity Scene with a toilet paper roll. The step by step instructions are given below. 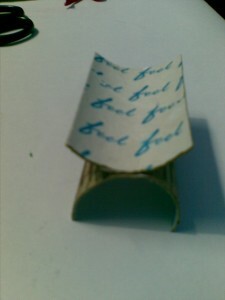 Cut the paper roll through the center as shown. 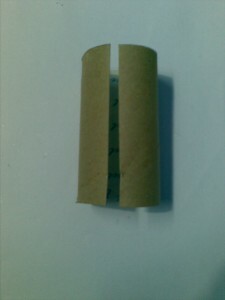 Cut a piece of the toilet paper roll as shown. 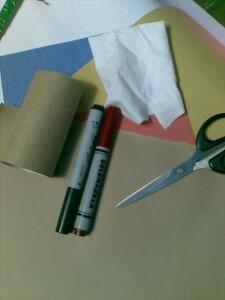 Color with black and brown markers as shown. 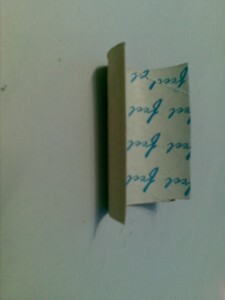 Glue the other piece of the toilet roll upside down on it as shown. 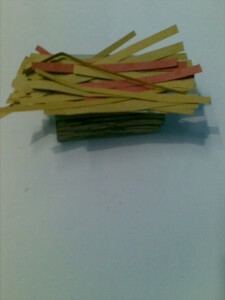 Cut thin strips of paper and glue them as shown. 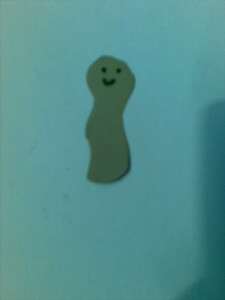 Cut out a shape for the baby as shown. Draw eyes and a mouth. 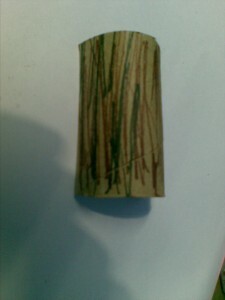 Wrap with scrap cloths. 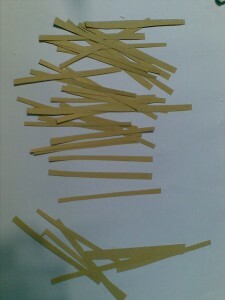 Use tape to hold it in place. 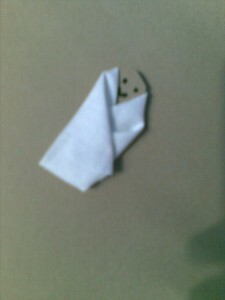 Wrap some more cloth loosely and place the baby on the manger. cute!!! i love it !